“How Target Figured Out A Teen Girl Was Pregnant Before Her Father Did” was an explosive headline in a Forbes article by Kashmir Hill (Feb 2012) which caused a huge media storm. The Forbes article only reported on an article by Charles Duhigg in the New York Times with a quieter title How Companies Learn Your Secrets. Duhigg’s article reported on work by presented in 2010 by a Target statistician at PAW – the Predictive Analyics World conference. That presentation had a very technical title (“How Target Gets the Most out of Its Guest Data to Improve Marketing ROI”) and did not cause any controversy. Good lesson here on the importance of headlines. But did Target’s predictive analytics really identify and reveal a teen pregnancy? I had a chance to discuss this recently with Eric Siegel, who pointed out that very likely this was NOT the case. Eric is the founder of the conference series Predictive Analytics World (www.pawcon.com), which is the first and leading cross-vendor event that covers commercial deployment. His work with PAW gave him special insight into the real scoop of the Target story and which parts of it are “real”. 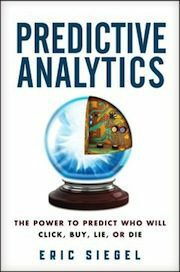 Here’s an excerpt from Chapter 2 of his book “Predictive Analytics: The Power to Predict Who Will Click, Buy, Lie, or Die” (www.thepredictionbook.com). That chapter focuses on privacy and civil liberties concerns that arise in predicting, e.g., pregnancy, job quitting, and crime recidivism. 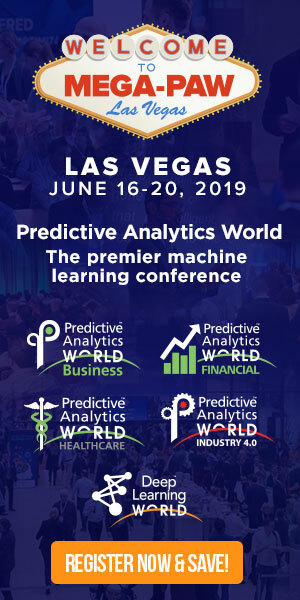 In 2010, I invited an expert at Target, Andrew Pole, to keynote at Predictive Analytics World, a conference for which I serve as program chair. Pole manages dozens of analytics professionals who run various predictive analytics (PA) projects at Target. In October of that year, Pole delivered a stellar keynote on a wide range of PA deployments at Target. He took the stage and dynamically engaged the audience, revealing detailed examples, interesting stories, and meaningful business results that left the audience clearly enthused. Free to view, here it is: www.pawcon.com/Target. Toward the end, Pole describes a project to predict customer pregnancy. Given that there’s a tremendous sales opportunity when a family prepares for a newborn, you can see the marketing potential. But this was something pointedly new, and I turned my head to scan the audience for any reactions. Nothing. Nada. Zilch. Normally, for marketing projects, PA predicts buying behavior. Here, the thing being predicted was not something marketers care about directly, but, rather, something that could itself be a strong predictor of a wide range of shopping needs. After all, the marketer’s job is to discover and pounce on demand. You can think of this predictive goal as a “surrogate” (sorry) for the pertinent shopping activities a retail marketer is paid to care about. A few months after Pole’s presentation, New York Times reporter Charles Duhigg interviewed me. Exploring, he asked for interesting discoveries that had come from PA. I rattled off a few and included pregnancy prediction, pointing him to the online video of Pole’s talk, which had thus far been receiving little attention, and introducing him to Pole. I must admit that by now the privacy question had left my mind almost entirely. One year later, in February 2012, Duhigg published a front-page New York Times Magazine article, sparking a viral outbreak that turned the Target pregnancy prediction story into a debacle. The article, “How Companies Learn Your Secrets,” conveys a tone that implies wrongdoing is a foregone conclusion. It punctuates this by alleging an anonymous story of a man discovering his teenage daughter is pregnant only by seeing Target’s marketing offers to her, with the unsubstantiated but tacit implication that this resulted specifically from Target’s PA project. This well-engineered splash triggered rote repetition by press, radio, and television, all of whom blindly took as gospel what had only been implied and ran with it. Not incidentally, it helped launch Duhigg’s book, “The Power of Habit: Why We Do What We Do in Life and Business,” which hit the New York Times best seller list. Beyond this, as Eric pointed out to me, the New York Times article itself provides another factoid making it even less likely the teen’s pregnancy had been determined analytically (if “determined” by Target at all – perhaps the particular teen was simply placed accidentally into the wrong marketing segment): Target knows consumers might not like to be marketed on baby-related products if they had not volunteered their pregnancy, and so actively camouflages such activities by interspersing such product placements among other non-baby-related products. Such marketing material would by design not raise any particular attention of the teen’s father.